Dave Rubin is the classiest interviewer out there! He is polite and respectful to every guest no matter there opinion, he asks hard questions, but not with the intent to corner, and never attacks people, just ideas. killing the echo chamber, great interviews, sometimes with odd people. I will be leaving Patreon effective January 15th, 2019 and will be moving our fan funding directly to our own website at http://www.daverubin.com/donate. This was an incredibly hard decision to make and one that I do not take lightly. The banning of Carl Benjamin, aka Sargon of Akkad, was a massive move of the line of what is acceptable speech on these platforms, and I cannot in good conscience support Patreon as they assault free expression online. For our Patreon members who listen to the ad-free podcast, stay tuned as we are working on building out an ad free podcast for our monthly supporters on http://www.daverubin.com. Join now and we'll roll you right into it when it's ready! Imam Tawhidi (Australian Muslim Scholar) joins Dave to discuss his upbringing in a conservative Muslim family in Iraq, his work to reform Islam, ISIS and the radicalization of Muslims in the west, defining the labels within his religion, his support of free speech, views of muslim immigration in the West, and more. Chloe Valdary (writer and political activist) joins Dave to discuss growing up Jewish as a person of color, how to disassemble anti semitism, her criticism of intersectionality, and the Women’s March, and to deconstruct the ideas around feminism, Islam, the hatred of Israel, the theory of enchantment which focuses on the importance of human connection, and more. Bret Weinstein (former professor at Evergreen State) joins Dave to discuss life after being pushed out from Evergreen State University for a scandal surrounding accusations of racism, his disagreements with Richard Dawkins, what he sees as the most important topics around evolutionary biology, his issues with New Atheism, thoughts on policing gender, and more. Coleman Hughes (columnist at Quillette) joins Dave to discuss his political awakening towards truth and questioning what he was expected to think, his articles including ‘Kanye West and the Future of Black Conservatism,” whether systemic racism really exists, his thoughts on a social safety net, the intellectual dark web, and more. Larry King (TV & Radio Host) joins Dave to discuss his legendary career as an interviewer, his interviewing style and how it’s influenced Dave’s own style, his views on the state of the world, his friendship with Donald Trump, his thoughts on life and death, and more. We're dropping this weeks episode two days early, just for our podcast listeners! Thank you for your support! 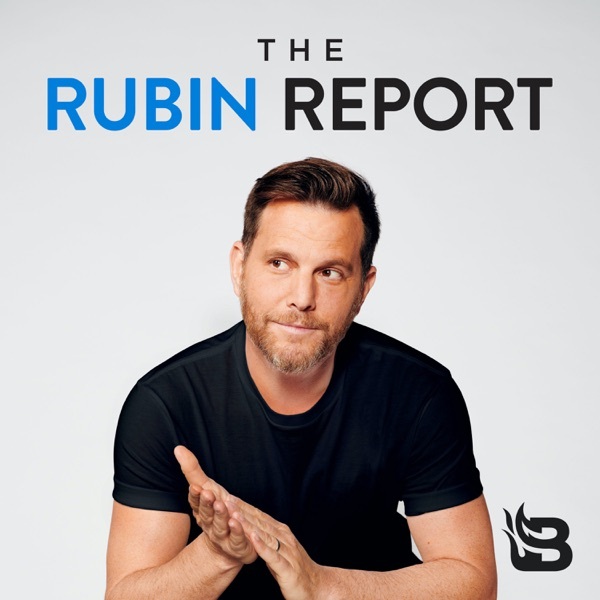 Join our fast growing community of Select Members and experience additional rewards like video chats with Dave, Rubin Select merchandise you can’t get anywhere else, and much more. You’ll also enjoy exclusive access to our Patreon feed where you can interact with Dave and other Rubin Select members to have discussions about recent interviews, current events, big ideas, and more. Katharine Birbalsingh (headmistress) joins Dave to discuss her founding of Michaela Community School - a free school established in London, and her journey from the left to the right, her approach to disciplining children, the importance of valuing knowledge, believing in equality of opportunity, and more. Ari Cohn (Director, FIRE) joins Dave to discuss the origins of FIRE (Foundation for Individual Rights in Education), the importance of protecting individual rights on college campuses, the reasons why hate speech is free speech, the ins and outs of the first amendment, and more. Josephine Mathias (Contributor, National Post) joins Dave Rubin to discuss immigrating from Nigeria, voting discrepancies among black voters, her views on Candace Owens, criticism of Black Lives Matter, the rise of Jordan Peterson, intersectionality, fake outcries of racism, and more. Larry Sharpe (Libertarian Candidate for Governor of NY) joins Dave to discuss running as the libertarian candidate for Governor of New York, the supreme court decision about the baker and the gay wedding cake, his views on legalization of weed, gun regulation, and more. Heather Heying (former professor at Evergreen State) joins Dave Rubin to discuss she and her husband Bret Weinstein’s resignation from Evergreen State University, why she still considers herself a progressive, her views on consciousness, and more. Jordan Peterson, Dave Rubin, and ARI's Yaron Brook and Greg Salmieri discuss the impact of philosophy on a person's life. Jordan Peterson, Ben Shapiro, Eric Weinstein, and Dave Rubin LIVE! Jordan Peterson, Ben Shapiro, and Eric Weinstein join Dave for a panel discussion. Jordan Peterson, Eric Weinstein, and Dave Rubin LIVE! Jordan Peterson and Eric Weinstein join Dave Rubin for a panel discussion. Nadine Strossen (former ACLU president) joins Dave to discuss her previous work as the president of the The American Civil Liberties Union, the definition of hate speech and how we should treat it, the dangers of censorship, a rebirth of free speech, and more. Michael Shermer and Amy Chua join Dave to discuss the label of classical liberalism, the supreme court decision regarding the baker and gay wedding cake, identity politics, and more. Sam Harris joins Dave to discuss truth, consciousness, his upcoming debate with Jordan Peterson, and more. Chris Freiman (philosophy professor at College of William and Mary) joins Dave to discuss philosophy, morality, his support for open borders and immigration reform, how to alleviate global poverty, his support for universal basic income, and more. Stand Up Comedy Dates Announced! My return to stand up is continuing in June! Jenny Wilson is the Democratic nominee for U.S. Senate in Utah. She joins Dave to discuss her democratic political views, the experience of running as a democrat in an overwhelmingly red state, social issues like abortion and gay marriage, and more. Larry Elder joins Dave to discuss Kanye West's political awakening, the state of the media, race in America, the new conservatives, and more. Don Boudreaux (economics professor) joins Dave to discuss classical liberalism, the basic principles about economics, the minimum wage debate, his views of the real state of the middle class, and more. Dave Rubin and Yaron Brook visited the University of Illinois at Chicago to discuss free speech, free markets, libertarianism, objectivism, and more. Sebastian Gorka (national security strategist) joins Dave Rubin to discuss his brief role as deputy assistant to President Trump, his response to the lies and attacks in the media, the dangers of political correctness, foreign policy, Russian collusion, and more. Dave Rubin, Yasmine Mohammed, and Onkar Ghate join Dartmouth College to discuss the current state of free speech, followed by an audience Q&A. The Q&A is available to our Patreon supporters! Dr. Thomas Sowell (Economist and Author) joins Dave to discuss his new book “Discrimination & Disparities” which challenges ideas related to economic outcome differences like discrimination, exploitation or genetics. They dive into Dr. Sowell’s upbringing and Marxist past, free speech on college campuses, the role of government, minimum wage laws, his experience as a conservative who happens to be black, and more. Rajshree Agarwal (Professor of Strategy, UMD) joins Dave to discuss growing up in India, the problem of self censorship with college professors, upward mobility, and her belief that truly successful businesses are moral enterprises, resulting from productivity, integrity and a sense of purpose. Benji Backer (conservative environmentalist) joins Dave to discuss how and why he got into politics at the age of 10, his issues with where the current conservative party stands, the American Conservation Coalition, his thoughts on how to tackle environmental issues from a conservative viewpoint, and more. Watch Dave Rubin and Yaron Brook's live discussion at the University of Central Florida on the role of government, capitalism, free markets, and more. Gov. John Kasich (Governor of Ohio) joins Dave to discuss his background and character, political labels,the problem with victimhood culture, individualism vs collectivism, race in america, his views on Trump, immigration, gay marriage, medical marijuana, and whether he will run for President in 2020. Steven Pinker is a cognitive psychologist at Harvard University and the author of the new bestselling book “Enlightenment Now: The Case for Reason, Science, Humanism, and Progress.” Steven joins Dave for a discussion on science, identity politics, and his hope for humanity. Bob Saget (comedian) joins Dave to discuss his comedy background and his career highlights from Full House and America’s Funniest Home Videos, his political views, Trump, the importance of humanity, and more. David Frum (Senior Editor, The Atlantic) joins Dave to discuss his new book “Trumpocracy: The Corruption of the American Republic,” his unique conservative views, the health care debate, the state of the modern left, his political standing, and more. Watch live as Dave Rubin, Heather Mac Donald, and Steve Simpson join UC Berkeley to discuss the current state of free speech in America and on college campuses. Kelly Carlin joins Dave to discuss the importance of unplugging from social media, mindfulness, jungian archetypes, her father George Carlin, and more. Mike Shellenberger (candidate for Gov. of CA) joins Dave to discuss his run for governor in California, his case for using nuclear power, fracking 101, the housing issue in California, taxations, his progressive/libertarian leanings, and more. Abraham Lincoln was the 16th President of the U.S. from 1861 until his assassination in 1865. Author and professor Jeffrey Rogers Hummel joins Dave for President’s Week to discuss Lincoln’s life and presidency. It’s President’s Week on The Rubin Report! 5 shows on 5 presidents in 5 days. John F. Kennedy was the 35th President of the U.S from 1961 until his assassination in 1963. Author Brian Domitrovic joins Dave for President’s Week to discuss JFK’s life and presidency. It’s President’s Week on The Rubin Report! 5 shows on 5 presidents in 5 days. James Madison was a Founding Father and the 4th President of the U.S from 1809-1817. Professor and author Kevin Gutzman joins Dave for President’s Week to discuss Madison’s life and presidency, from drafting the constitution, to the Federalist Papers, to the Bill of Rights, and more. It’s President’s Week on The Rubin Report! 5 shows on 5 presidents in 5 days. Thomas Jefferson was the 3rd President of the U.S from 1801-1809. Professor and author Rob McDonald joins Dave for President’s Week to discuss Jefferson’s life and presidency. It’s President’s Week on The Rubin Report! 5 shows on 5 presidents in 5 days. Michael Brown (Fmr Director, FEMA) joins Dave to reflect on his time and work as the director of FEMA during Hurricane Katrina, his experience working with George W. Bush, his role in the creation of Homeland Security, his views on the TSA, his handling of other natural disasters, and more. Shon Hopwood joins Dave to discuss his 11 years in federal prison for robbing banks, his journey to becoming a law professor at Georgetown University, his views on mandatory minimums, the state of the drug war in America, the prison sentences for drug crimes, and more. Bret Weinstein and Eric Weinstein, Brothers Together at Last! Brothers Bret Weinstein (former professor, Evergreen State) and Eric Weinstein (Mathematician) join Dave for an enlightened discussion in what is their first public appearance together ever. Jordan Peterson and Ben Shapiro join Dave for a live discussion about postmodernism, Trump, conservatism, free speech, and rules for life. Charlie Kirk (Turning Point USA) joins Dave to discuss how he became a young conservative, his views of the role government should play, Trump’s presidency, the drug war, the conservative defense of gay rights, his views of religion and Islam, religious issues facing Europe, and more. Michael Shermer (Author) joins Dave to discuss his new book “Heavens on Earth: The Scientific Search for the Afterlife, Immortality, and Utopia,” issues of free speech on campus, teaching skepticism, the abortion debate, views on morality without religion, and more. Ben Shapiro (Daily Wire) joins Dave live to discuss his thought's on Trump, the republican tax plan, his views on abortion, religion, and more. Ken Stern (Former CEO of NPR) joins Dave to discuss his new book “Republican Like Me: How I Left the Liberal Bubble and Learned to Love the Right,” his journey from left to right, his evolution on the gun control debate, his evolution on the climate change debate, his views on poverty programs, predictions for the future, and more. Rucka Rucka Ali (YouTube Creator) joins Dave to discuss how he got into comedy and parody rap, his views and interpretation of the current political landscape, objectivism and Ayn Rand’s philosophies, capitalism, his criticism of progressives and conservatives, and more. Neel Kolhatkar (Australian comedian) joins Dave to discuss his comedy which goes after the social justice movement and identity politics, his Indian heritage, issues and politics in Australia, the life of being a stand up comic, the state of comedy in our current political landscape, and more. Some Black Guy (aka Derrick Blackman) joins Dave to discuss his background, why he became a YouTuber creator, his political views as a centrism, his battle against identity politics, his thoughts on Gamergate, his religious upbringing, thoughts on using the N-word, the 2016 election, and more. Jaclyn Glenn (YouTube Creator) joins Dave to discuss her conservative religious background, her evolution to atheism and skepticism, the definitions of atheist, agnostic, and deist, her recent breakup, her experience on ayahuasca, her political views, and much more.